Sudden cardiac arrest is one of the nation’s deadliest conditions, killing more people than lung cancer, breast cancer and AIDs combined. It can affect anyone at any time, regardless of age or fitness. In fact, 100,000 people in the UK die every year from sudden cardiac death. The golf course is one of the most common places for people to suffer cardiac arrest. That’s why we’ve launched a joint campaign with the heart charity the Arrhythmia Alliance to get more defibrillators on UK golf courses. 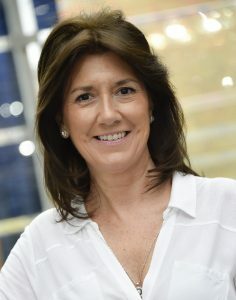 Trudie Lobban MBE, Founder and Trustee of the Arrhythmia Alliance, explains what cardiac arrest is and how it should be treated on the golf course. Sudden cardiac arrest is a condition during which the heart suddenly and unexpectedly stops beating, due to a malfunction in the heart’s electrical system. The malfunction that causes sudden cardiac arrest is a life-threatening abnormal rhythm or arrhythmia. 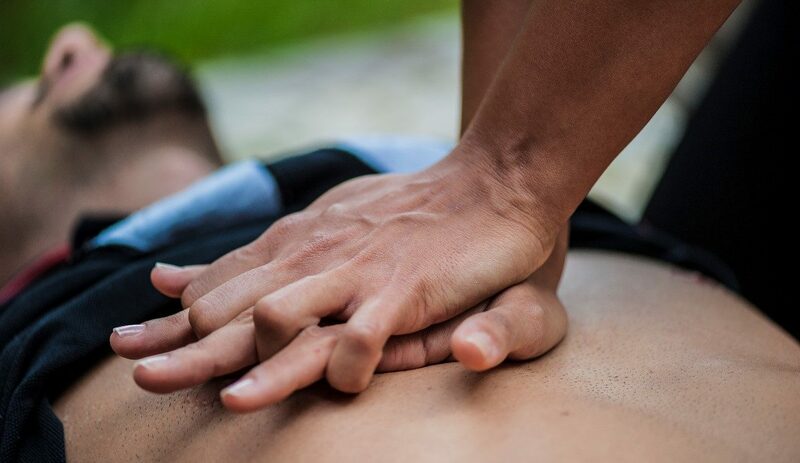 During a sudden cardiac arrest, a victim first loses their pulse, then consciousness, and finally the ability to breathe. All of this can happen in a matter of seconds, which is why it’s so important to take swift and decisive action. One point to be clear on is that sudden cardiac arrest is not the same as a heart attack. A heart attack is caused by a plumbing problem with the heart, such as a blocked artery. Many people experience symptoms before a heart attack and remain conscious. A sudden cardiac arrest is caused by an electrical problem with the heart. The person often has no symptoms and loses consciousness immediately, so every second is crucial in trying to save their life. The diagram below offers further insights into the differences between a heart attack and sudden cardiac arrest. One of the most famous and recent case studies of a golfer suffering from a cardiac arrest is Golf Care’s ambassador and former Ryder Cup captain Bernard Gallacher. Five years ago, Bernard collapsed during a dinner at a hotel in Aberdeen, after suffering a sudden cardiac arrest. Thanks to the immediate action of the hotel staff and the administration of early shocks from life-saving Automated External Defibrillators (AEDs), Bernard survived. His harrowing story is a reminder of the importance of early intervention when sudden cardiac arrest strikes. More broadly, it highlights how vital it is for golfers to know what steps to take if such a situation occurs. How do I treat a sudden cardiac arrest? CPR alone will not restart a heart following a sudden cardiac arrest – rather, it is a temporary measure which supplies a minimal amount of oxygen to the brain and other organs. The longer the brain is without oxygen, the more damage is caused, which is why a quick response is vital. CPR alone increases the chances of survival by around 9%, whereas CPR combined with early defibrillation increases the chances of survival by over 50%. This displays the importance of using an Automated External Defibrillator (AED) to restore the heart to sinus rhythm. You should then use an AED as soon as possible. The portable device can be used by anyone to shock a person’s heart back into normal rhythm, in the event of a sudden cardiac arrest. AEDs use voice prompts to instruct how to use them. They will only deliver an electric charge if a shockable heart rhythm is identified. Despite what you may think, no training is needed to use an AED – the device talks the person through the entire process. You cannot harm a person by using an AED, as it will only deliver a shock if one is required. Early defibrillation has a dramatic impact on a person’s chances of survival, which is why we advocate each golf club having at least two AEDs – one outside the clubhouse, and one at the furthest point from the clubhouse. Shockingly, 65% of golf clubs do not have any defibrillators on site, so knowing the basics of CPR is essential. In a bid to improve safety on the golf course, Golf Care has donated £1,000 to the Arrhythmia Alliance and will make further donations to the charity throughout 2019. This money will be spent directly on AEDs for golf clubs. The two organisations will also write to every golf club in the UK in 2019, outlining the importance of providing AEDs and CPR training. To find out more about our campaign or to make a donation, click here.